Since I live in Florida, flip flops are a must. In fact, I usually wear them all year long. While I love the styles of other shoes, the ease and coolness of flip flops make them the more practical choice. The problem I usually face though, is flip flops that are really uncomfortable or poor quality. They either fall apart or start looking beat up, or them my feet hurt so bad that I cannot stand to wear them. But, at last, my quandary has been solved. I found the PERFECT flip flops. 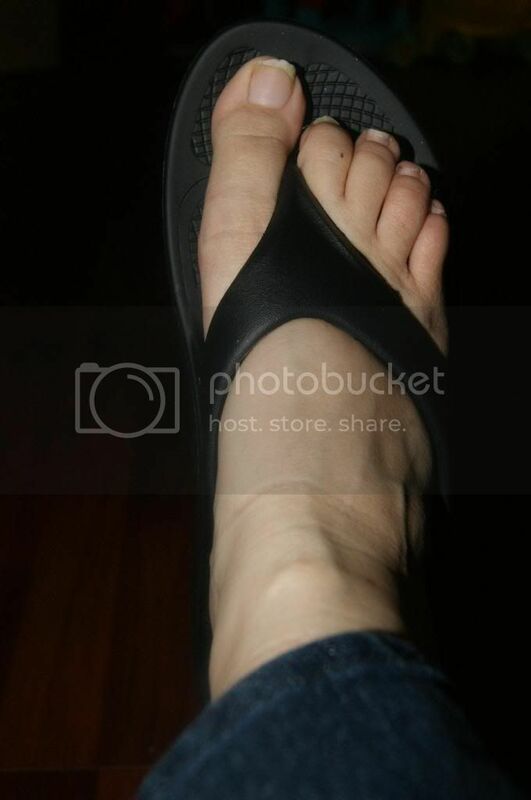 OOFOS OOriginal Sandals are amazing. They look super cute and unique, but even more amazingly, they are unbelievably comfortable. Seriously they are like better than being barefoot(which is like unheard of for me). They are so cushiony and supportive. The are the same soft material for the strap area too, so not hard straps rubbing the top of your foot. Since these are all one piece, then will not come apart. They are definitely built to last. Since there is no canvas or leather like material, they are perfect to wear to the beach too since water will not be an issue. That also makes them super easy to keep clean. These will still look brand new even after months of stylish comfort. I adore these shoes. They go with EVERYTHING. I have worn these non stop since I got them, and my feet feel wonderful. I think they have even helped my back pain. The awesome sandals come in 3 other great colors(Pink, Orange an Brown), and OOFOS even has two other fabulous styles too(OOclog and OOahh). I love that I can keep all the wonderful comfort of these shoes while still switching up my style. 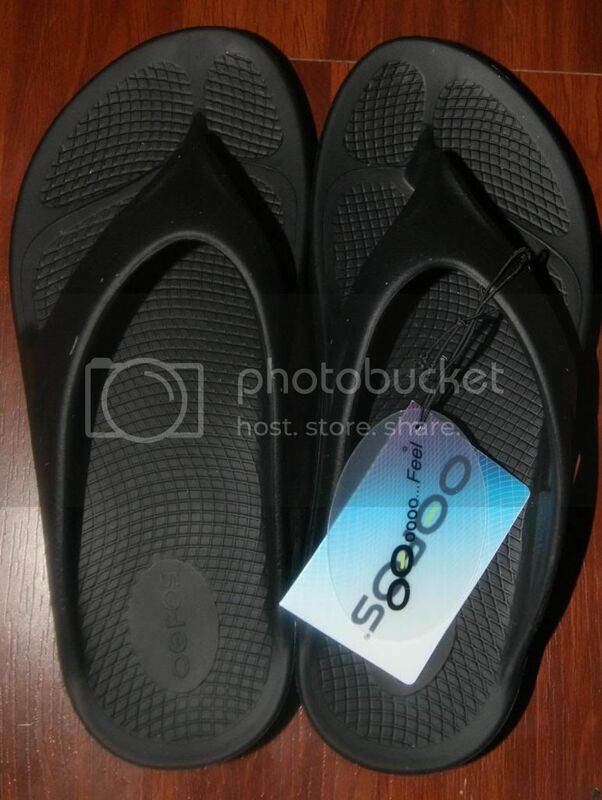 I will certainly be getting more OOFOS. I think everyone should own a pair of these. And to help make this happen, we are giving a pair away to one lucky winner. Enter below. Good luck. I love the HOT pink ones!!! I like the thong style in pink. I like the thong style in brown. I like the Brown Flip Flops the most! My favorite type of footwear!